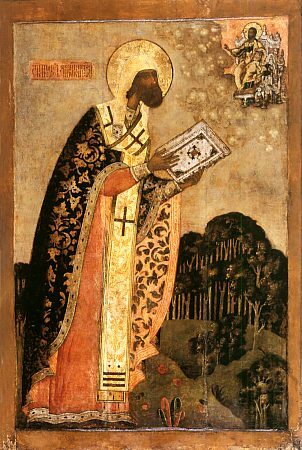 By birth a Greek, the first bishop of Rostov, he was enthroned as bishop in the year 991. At that time pagans occupied the Rostov territory and St. Theodore had much work to do to enlighten them in the Christian faith. The rough and wild pagans rendered many insults to the hierarch and once even drove him away. St. Theodore then settled in Suzdal and here enlightened many by the light of the true faith and after much apostolic labor he died in Suzdal. Not much is known about the last years of the life of St. Theodore. He died in the year 1023. His uncovered relics lie in the Suzdal Theotokos-Nativity Cathedral.